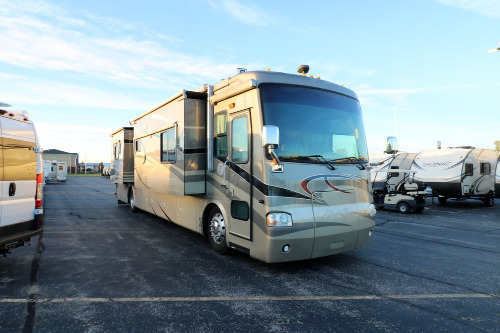 Camping World has nearly 4,000 motorhomes available every day, including new and used Class A Diesel motorhomes. 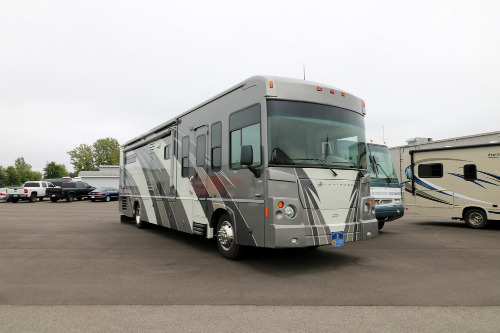 Class A Diesel RVs range in size from 25 feet single axle diesel pushers to tag axle diesel pushers over 40 feet. 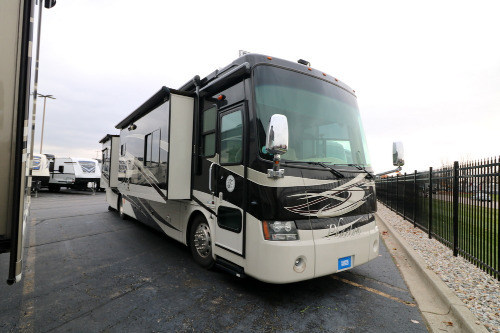 With Camping World you will be able to enjoy RV living in a luxury motorhome whether it's in a couple-focused front living, a luxury bath-and-a-half, or a family-style bunkhouse unit. 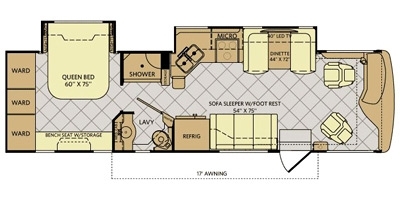 Many of our diesel units come equipped with high-end features, such as outside entertainment accommodations. A Class A Diesel pusher is ideal for dry camping and tailgating. It's easy to find your Diesel pusher from Camping World. 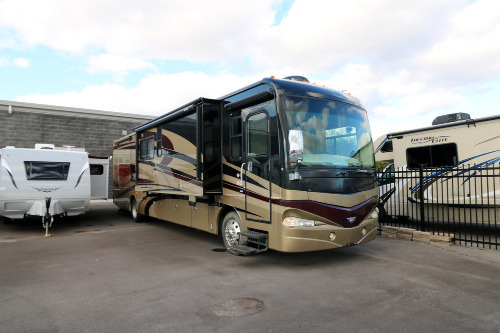 Choose from popular brands such as Palazzo, Tuscany and Forza from America's best Class A Diesel motorhome manufacturers: Thor, Winnebago, Newmar, Fleetwood and more.